This was posted November 28, 2017. Social Security announced that incorrect W-2 information caused it to initially say that the ceiling on earnings subject to Social Security payroll taxes would be $128,700 in 2018, up from $127,200 this year. After correcting the tax data, it said the 2018 ceiling would be $128,400. Here is a detailed explanation. This was posted October 18, 2017. Social Security has released its key 2018 statistical benchmarks, beginning with its announcement that the 2018 Cost of Living Adjustment will be 2.0 percent, its largest in five years. This year’s COLA was only 0.3 percent and there was no COLA in 2016. While the gross amount of Social Security payments will be higher next year, this gain will be substantially reduced for Medicare recipients who also have claimed Social Security, and thus have their Part B premiums subtracted from their Social Security payments. Medicare has not yet announced its 2018 Part B premium, but it has been forecast to be unchanged from this year’s $134 a month. In June 2017, the average retirement benefit received by more than 45 million retired workers and their dependents was $1,369 a month, and the average payment to 10.6 million disabled persons and their dependents was $1,172 a month. The maximum taxable earnings on which Social Security payroll taxes must be paid will rise to $128,700 in 2018 from $127,200 this year. There is no wage ceiling for Medicare payroll taxes. Payroll tax rates remain at 6.2 percent for Social Security and 1.45 percent for Medicare, with employees and employers each paying these amounts. The earnings test, which can reduce benefits for people younger than full retirement age (now 66), will be triggered in 2018 for earnings exceeding $17,040 for people under their full retirement age (FRA) for the entire year, and $45,460 for the year in which they reach it. The 2017 limits were $16,920 and $44,880, respectively. In order to be credited with one work credit, or one quarter of coverage for Social Security benefits, a person must earn at least $1,320 in 2018, compared with $1,300 this year. A maximum of four credits a year may be received for earnings of at least $5,280 in 2018 versus $5,200 this year. Credits are earned as soon as earnings for the year have exceeded these thresholds, and do not require a person to work during each quarter of the year. The maximum monthly benefit in 2018 for someone claiming benefits when they reach full retirement age will be $2,788, up from $2,687 this year. 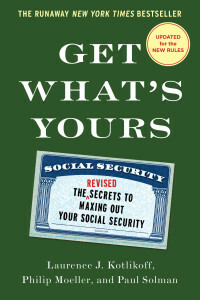 Noted financial expert John Mauldin talks about the need to fix the Social Security system and how valuable our book is in helping seniors. He also publishes a piece by Get What’s Yours coauthor Larry Kotlikoff. Among all of Social Security’s arcane rules, secrets, and claiming surprises, the greatest personal revelation to me has been that the agency often gives out confusing, inconsistent, and even flat-out wrong information. 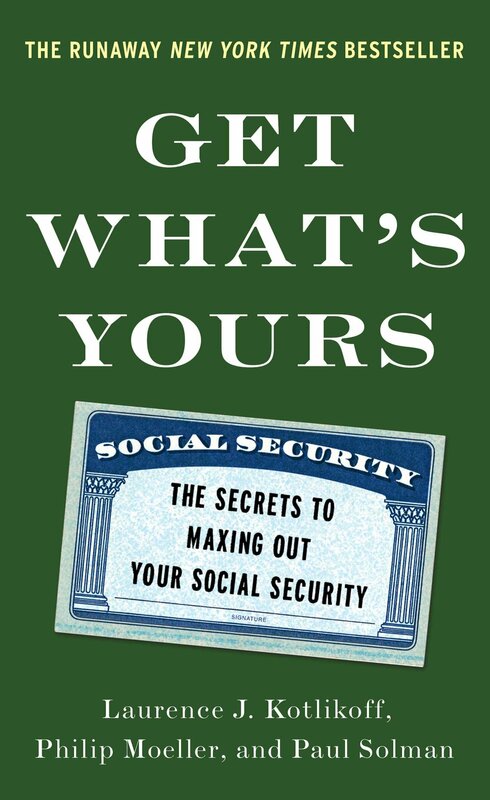 Color me naïve, but when I began research for our book, I assumed the Social Security Administration (SSA) was the place to go for accurate information. I’m going to repeat this information one last time, as it is so critical to so many people. If you a) are between 66 and 70 or will turn 66 on or before April 30, b) have a spouse who was 62 before Jan. 2, 2016 or have young or disabled children (who became disabled before 22 and remained disabled) and c) want to provide them benefits on your work record while your own benefit is suspended (thus, letting it grow through its age-70 maximum amount), you need to file for your retirement benefit and immediately suspend it by or on this Friday! The 2015 Budget dramatically changed Social Security claiming options. Every day I get a host of emails from the victims of these changes. Most are like my 64-year-old secretary, who I wrote about last week, who, thanks to Congress and the President, lost her ability at age 66 to do three things: a) get a child benefit for her severely disabled child, b) a get spousal benefit for her non-working husband who has had to stay home and care for their child for years, and c) file for her retirement benefit, immediately suspend it and wait until 70 to collect her highest possible retirement benefit. But if the new Social Security benefit rules are here for good, and they certainly seem to be, what should people do? Here are 12 secrets to maximizing your lifetime Social Security benefits under the new rules. At the end of October, Congress approved a budget-agreement bill that included significant changes to Social Security. The ability to file-and-suspend benefits, which has helped many individuals and families to increase their retirement incomes, is being eliminated. Other changes will also reduce the ability of people, especially those under age 62, to ever again use many of the claiming tools in our book. We are working to get out a revised edition of Get What’s Yours as quickly as possible. Until then, please visit this page and also look for articles by Larry and Phil to keep up to date with this major reduction in claiming options.